Facebook continued its efforts to win back public trust this week by rolling out a notification to users whose data was leaked in the Cambridge Analytica breach last fall. Starting now, the estimated 87 million users who were affected can expect to see a detailed message from Facebook in their news feeds. Additionally, every Facebook user will receive a notice called “Protecting Your Information” with a link that details which apps you use and what data those apps possess. All these measures were part of a new set of security guidelines introduced by Facebook last week that promised to plug the holes in the company’s data privacy rules. 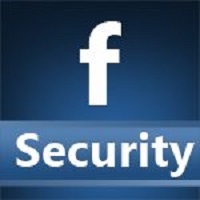 Some of the security loopholes that Facebook fixed are surprising in their scope. For instance, Facebook finally got rid of the ability for any user to find another user by simply searching their phone number. The company estimated that almost every publicly-available profile could have its info scraped by this simple function alone. The social media giant also promised to delete call and text logs after a year, ensure apps can’t access your information on Facebook Events, and more.